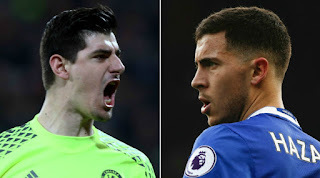 Chelsea Manager Antonio Conte is desperate to get Eden Hazard and Thibaut Courtois a new deal, the Chelsea manager wants the pair contract sorted out before the 2018 World Cup kicks off. Courtois and Eden Hazard present England with their greatest danger at the World Cup next summer but, by the time the tournament comes round. 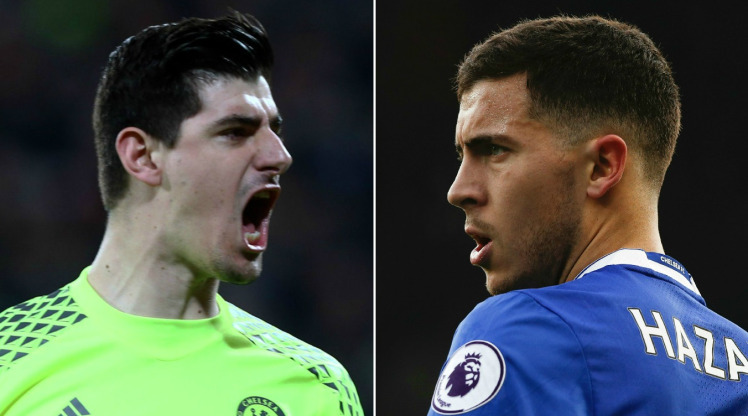 Courtois will have only one year left on his contract, Hazard will be having two and many big club's will be going after them if they shine at the 2018 world cup in Russia. "The club knows very well the importance of these two players, I think these two players are very happy to play for this club," Conte said. "It is normal during the season to have the contact between the player or the agent of the player and the club. I hope that at the end, Thibaut will sign his contract." Eden Hazard have been in top form for Chelsea this season and he was also the star man on Saturday when Chelsea defeated Rafael Benitez Newcastle side. Rafael Benitez insists the Belgium international has improved since his spell as interim manager of Chelsea. "He was already very good but he's more mature and better with his decision making, said Benitez. "When you play a lot of games you learn and you know when you can make the difference and you are aware that you can make a difference."